Calling all book lovers! This is one DIY you’re going to be itching to try. 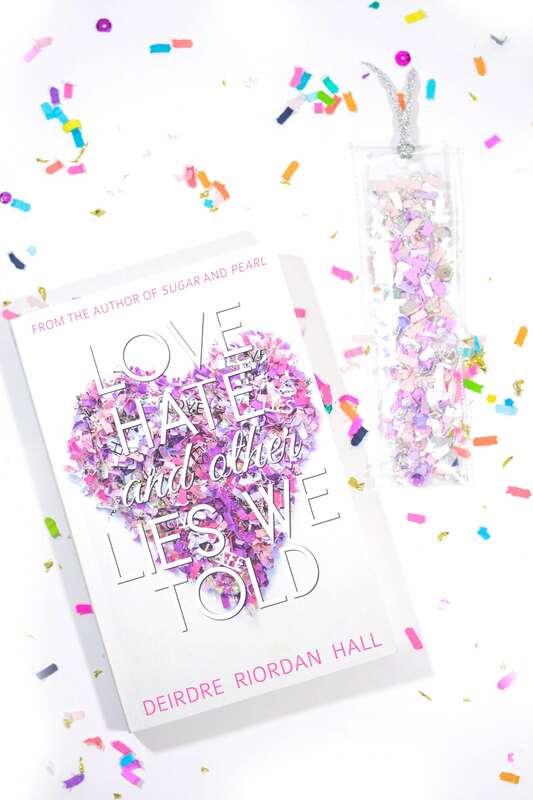 Confetti bookmarks are addicting to make — you can create some for yourself, plus they make great gifts, too! The concept is simple enough, and I’ll even share two different ways you can make them! Clear sheet protectors (I had some laying around from Staples, but these from Amazon would work great, too!) Heavyweight are best to give you a sturdier material. *The easiest way to do this is to cut starting from the “hole punch” end of the sheet protector, that way the bottom side has the original seal/crease to keep the two pieces together and you have one less side to seal. **It’s pretty hard to take photos of clear things (😝) so forgive the fact I don’t have a really great photo of this step. For whichever method you choose, you’re going to want to make sure you seal both long sides (and one short side if you didn’t follow my advice on the first step.) Leave one short side open for now! Fill the open side with confetti, seal the last side shut, and if you so choose you can add a hole punch and some ribbon to embellish one side. And if you’re feeling SUPER crafty, you can add stickers or use permanent markers to embellish the outside of the bookmark! BONUS: Use the same materials/technique but play around with making different shapes! These hearts could make cute gift tags, right? These would be fun as promotional gifts or party favors, too. If you have a specific look for your business or special event, use some custom confetti! 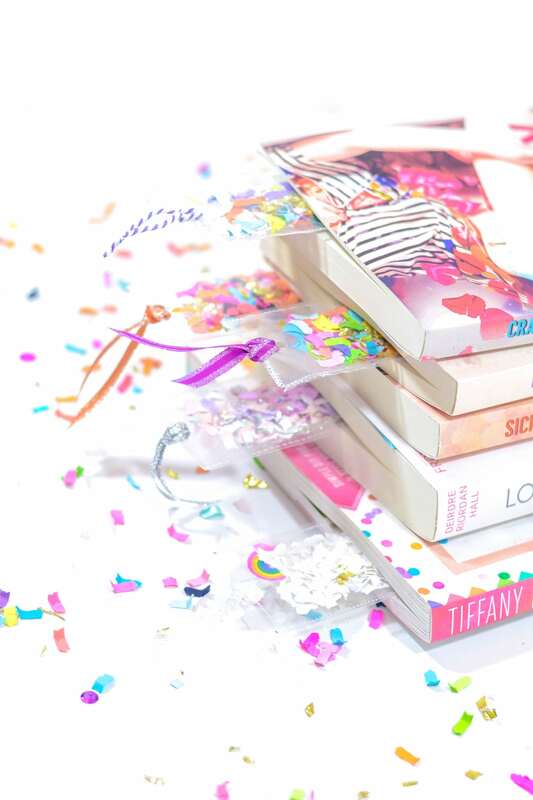 No matter what type you create, your bookmark is sure to make reading extra fun! 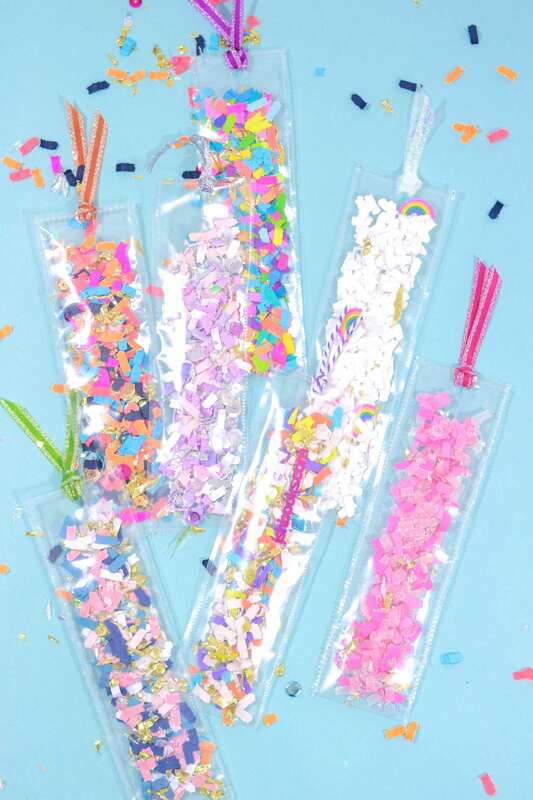 What other things do you think I should make using this confetti-filled clear plastic technique?? Super cute! I need to try this!!! I have some vinyl sleeves from makeup brushes (like the kind that e.l.f. come in) that would work perfectly for this! Too cute. Might try adding some photos in there too. Ahh that is such a good idea to repurpose the vinyl sleeves! Be sure to let us know how they turn out!